Bhushan Kumar from Delhi, B.Com Graduate. COMPUTER KNOWLEDGE .. VENDOR MANAGEMENT PROCUMENT MANAGEMEN SKILLS STORE & PURCHASE OFF..
are one of expert skill area's of Bhushan Kumar . 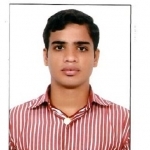 Bhushan Kumar is working in Materials/Logistics/supply chain management industry.